Sweet dresses, sweet memories and sweet treats. Am I right? Well, I have a funny story for you. I actually shot these photos a couple months ago. It was freezing outside and it started snowing during the shoot! The Chicago weather was trying to ruin my attempt to create a summer vibe. Chicagoans, do you blame me for trying? I was sick of the never-ending winter for crying out loud! But my photographer and I escaped the snow and cold by stepping into my favorite bakery, Sweet Mandy B's. And it was here that I claimed myself victorious over the weather! Sweet spotted Old Navy summer dress, check! Sweet memory made, check! Sweet treats, check! As the snow fell outside, it was like Summer in a snow globe. And while speaking of sweets, I've got something extra sweet for you! 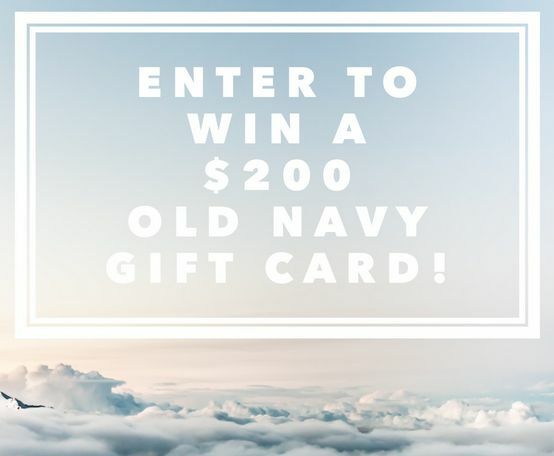 I'm joining a team of awesome bloggers to give away a $200 Old Navy gift card to one of our lucky followers!! Scroll down to enter! And don't forget to ENTER DAILY for extra chances to win! Rules: Use the Rafflecopter form to enter daily. Giveaway ends 7/9 and is open worldwide. Winner will be notified via email. Your polka dot dress is adorable! 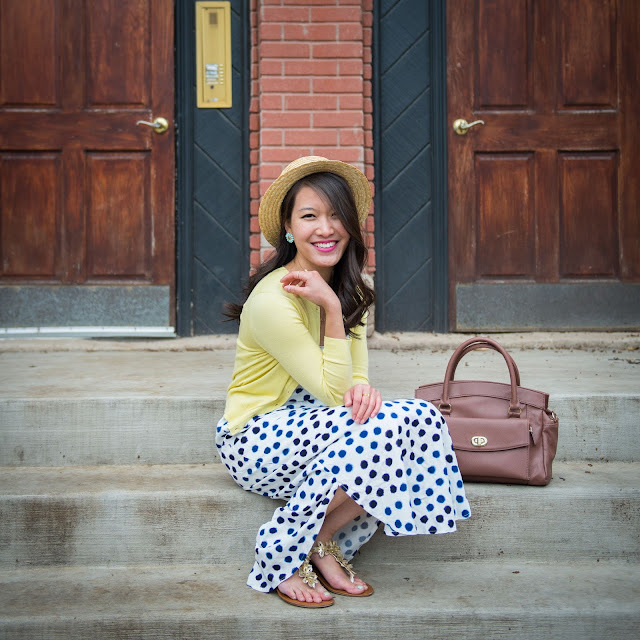 Love this fun summer look! I love your look! Absolutely adorable dress and I love how you styled it! Great shoot, too. The background looks fabulous! 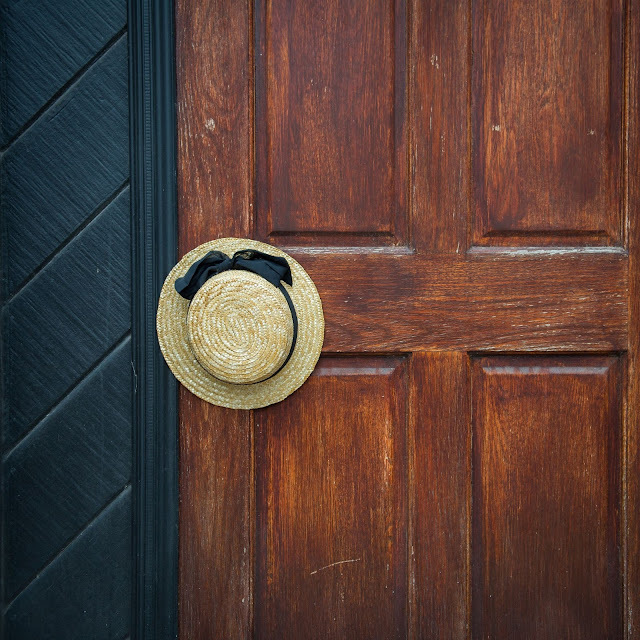 Thanks for linking-up with Friday Favorites! Have a great weekend! Gorgeous dots! Thanks for the chance. I love your Old Navy dress!!! That would be the perfect dress for the finally ended winter! The entire outfit is gorgeous!! Oh I love your dress and the yellow with it. Old Navy has the cutest things this year and with all their sales their prices are more than reasonable. Thanks so much for this wonderful opportunity. This outfit is so cute! I love that polka dot dress. And it's perfect with the yellow cardigan. I have this dress and love it!! Such a fun dress for summer! You are too cute and this dress is adorable! Beautiful shots...and the description of summer in a snow globe is fabulous! 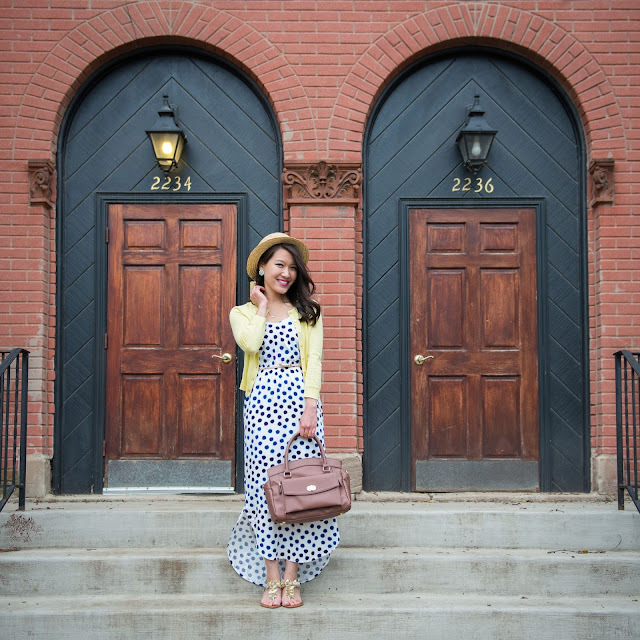 The yellow cardi with the polka dot dress is perfect for summer. That is a sweet outfit-perfect for summer (or, a fake summer :) ). Love the photos too. this look is perfect and i LOVE it w/ the purple couch!! You would have never known it was snowing out because that definitely screams summertime sweetness!! Such a cute photo shoot and that outfit is perfect! You look adorable and so summery - I would have never guessed it was freezing out! This whole post is adorable. These pictures are great and your outfit is gorgeous. I really love your look from head to toe! Your pictures are also lovely! I own this same dress and it's been too hot to try it on with a cardigan where I live, I will definitely try it in the fall! You look adorable! I LOVE that dress. The polka-dots are so fun and I adore that hem-line. What an adorable bakery with those purple seats! 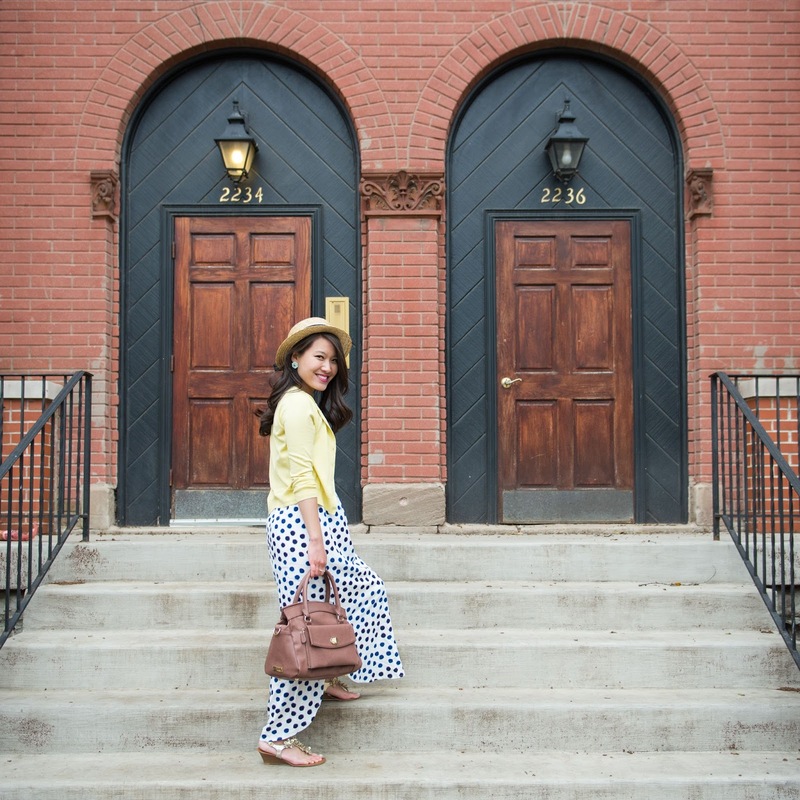 Thanks for linking up with "Favorite Fashion Friday"! Love this outfit! Love polka dots :) such a cute location, beautiful photos! I love the polka-dot dress, and the straw hat!! They look beautiful on you! As well, I love entering giveaways! And, receiving an Old Navy gift card would be awesome!!! I could really use some new clothing - and it's not often that I get to shop there!! !